In 47 CE, Scri­bo­nius Largus, court physi­cian to the Roman emper­or Claudius, described in his Com­po­si­tiones a method for treat­ing chron­ic migraines: place tor­pe­do fish on the scalps of patients to ease their pain with elec­tric shocks. Largus was on the right path; our brains are com­prised of elec­tri­cal sig­nals that influ­ence how brain cells com­mu­ni­cate with each oth­er and in turn affect cog­ni­tive process­es such as mem­o­ry, emo­tion and attention. The sci­ence of brain stim­u­la­tion – alter­ing elec­tri­cal sig­nals in the brain – has, need­less to say, changed in the past 2,000 years. Today we have a hand­ful of tran­scra­nial direct cur­rent stim­u­la­tion (tDCS) devices that deliv­er con­stant, low cur­rent to spe­cif­ic regions of the brain through elec­trodes on the scalp, for users rang­ing from online video-gamers to pro­fes­sion­al ath­letes and peo­ple with depres­sion. Yet cog­ni­tive neu­ro­sci­en­tists are still work­ing to under­stand just how much we can influ­ence brain sig­nals and improve cog­ni­tion with these techniques. 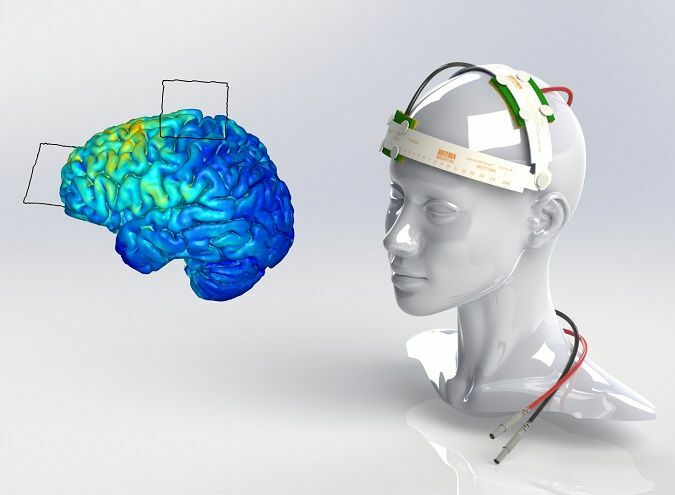 Brain stim­u­la­tion by tDCS is non-inva­sive and inex­pen­sive. Some sci­en­tists think it increas­es the like­li­hood that neu­rons will fire, alter­ing neur­al con­nec­tions and poten­tial­ly improv­ing the cog­ni­tive skills asso­ci­at­ed with spe­cif­ic brain regions. Neur­al net­works asso­ci­at­ed with atten­tion con­trol can be tar­get­ed to improve focus in peo­ple with atten­tion deficit-hyper­ac­tiv­i­ty dis­or­der (ADHD). Or peo­ple who have a hard time remem­ber­ing shop­ping lists and phone num­bers might like to tar­get brain areas asso­ci­at­ed with short-term (also known as work­ing) mem­o­ry in order to enhance this cog­ni­tive process. How­ev­er, the effects of tDCS are incon­clu­sive across a wide body of peer-reviewed stud­ies, par­tic­u­lar­ly after a sin­gle ses­sion. In fact, some experts ques­tion whether enough elec­tri­cal stim­u­la­tion from the tech­nique is pass­ing through the scalp into the brain to alter con­nec­tions between brain cells at all.